I like pretty nails. I've always liked pretty nails. Even when I was a little girl, I like having nails that were nicely shaped and pretty colors. Growing up I didn't get to wear nail polish most of the time and when I did it was clear or very neutral colors. As I got older I had opportunities to go to the nail salon and get a professional manicure and or pedicure. I loved getting my nails painted in pretty, shiny reds and pinks. The downside of going to the salon was the cost. I'd need to get my nails done every few weeks and multiple trips to the salon each month didn't fit in my budget. So I would either do my nails myself or leave them unpainted. Until I found my favorite new brand of nail polish. I stumbled upon Sally Hansen Complete Salon Manicure Nail Polish via the Influenster VoxVoxBox. Before that, I was using the OPI brand of nail polish. I was happy with OPI and didn’t have any issues with it. Until I tried the Complete Salon Manicure. When I first applied the nail polish I had issues with the precision brush and ended up with a mess around my nails. The precision brush is a bit flatter than a typical nail polish brush and not as flexible. Once I got the hang of it I was able to apply the polish and have more of it on my nails than around my nails. 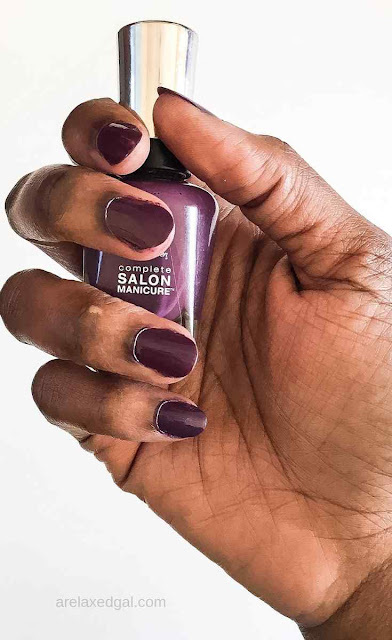 I really liked the results of the Sally Hansen Complete Salon Manicure Nail Polish. The color was vibrant and shiny. The polish didn’t chip or peel right away like I’ve experienced with other brands. For me, the pros outweigh the cons. This my new favorite nail polish. Living in a warm climate I wear open-toe shoes several months out of the year so I like to keep my toes looking good. 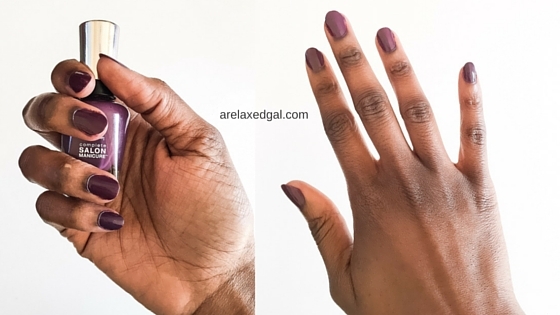 When I was using other nail polish brands I had to touch up to change my polish once a week. Not with the Sally Hansen Complete Salon Manicure polish. It lasts two weeks or more which is great for my busy schedule and I don’t have to worry about how my nail look after a week. Price: The Sally Hansen Complete Salon Manicure polish costs about $6.60-$7.00 which can vary by store. The bottles of polish I have I didn't pay for as I got them free from Influenster for testing purposes. What nail polish do you use for your home or professional manicures and pedicures?